Harmar AL435T tailgater 3-axis truck lift provides motorized rotation feature, powered boom extension, offset geometry and increased lifting capacity. Tailgater 3-axis truck lift allows your power chair or scooter to be lifted from the vehicle cargo area and positioned beyond the lowered tailgate or on the sidewalk next to your vehicle. 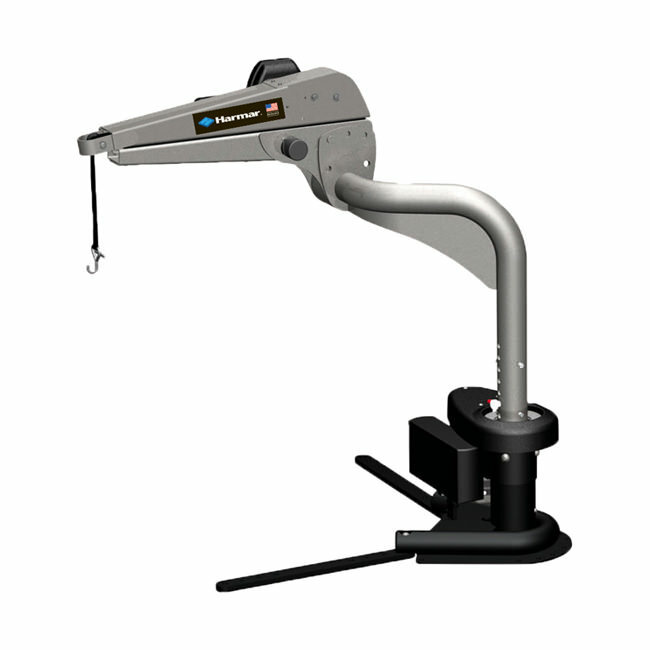 3-axis truck lift has adjustable limit switches which automatically stop rotation to prevent lift contact with your vehicle. Tailgater truck lift provides "Action Base" design which allows a full 180° of adjustment on the lift base mounting legs. Truck lift has variable column height, arm adjustments and uniquely shaped adjustable base assure custom fit.